My dad had flown rockets on and off over the years. When I was four he built the three-stage Estes Astron Farside and flew it with us at a local school in Saginaw, Michigan. The first Space Shuttle launch was the same year, and that really got me hooked. For most of my childhood I wanted to be an astronaut. 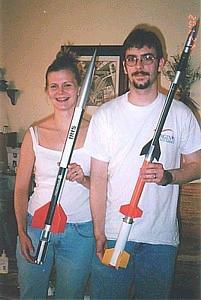 My earliest rockets were built for me by my parents. I enjoyed all sorts of rockets, but scale models were always my favorites, especially the Space Shuttle (my very first flying shuttle model was this one from Centuri). 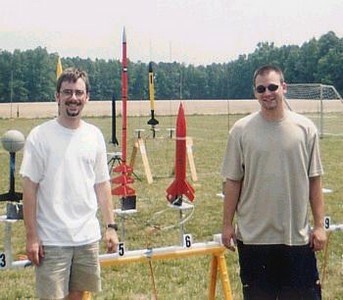 Rocket launches for us usually consisted of one or two kits to be flown at a local field every once-in-a-while. 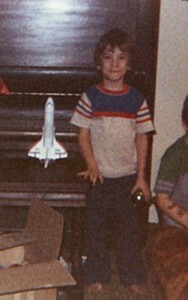 Even my brother and sister had their own rockets on occasion, but I was the only serious rocketeer in the family. My rocketry interest came and went in phases but never waned completely. Several factors came into play late in my elementary school years to spark an especially intense interest in rockets, such as reading G. Harry Stine’s Handbook of Model Rocketry (found at our local library) and discovering a very old Astron Farside kit at a local hobby shop (c. 1986-87), among other small but influential things. I finally joined the National Association of Rocketry (NAR) in 1988. Not long after starting high school I was privileged to meet international (FAI) scale spacemodeler Bob Biedron. He graciously let me visit his workshop on multiple occasions and showed me several advanced modeling techniques. Later my freshman year I also got my first taste of NAR competition and attended several group launches with the Vikings NAR section near Richmond, Virginia. The remainder of my high school career I was busy running track and cross country or helping out at church and did not do any rocket building or flying. 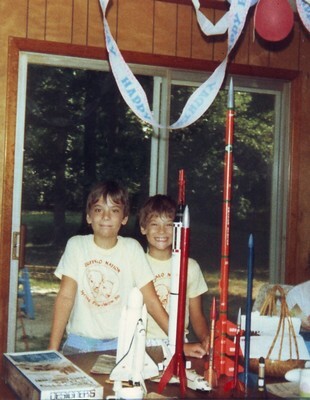 A year after graduation I was involved in a kids’ Vacation Bible School (1995) that had a space theme–I knew that we needed a rocket to launch for the kids, so I bought an Astrocam. Unfortunately, we had no success with the photos, but I was bitten again by the rocket bug. So later that summer, my friend Jeff and I flew the clustered and staged “Addicted 2 Jesus” rocket (named after a certain Christian song–kinda cheesy, I know, but it is a cool rocket). I began full time college classes the following spring, humbling whatever fantastic spacemodeling plans I had in mind at the time. A couple years later I became heavily involved playing drums at church. Jess and I started hanging out and then married in 2000, but I was too busy tinkering with electronic drums to think about rockets. We eventually visited a sport launch hosted by a local club, SEVRA, and we began flying almost every month and continued to do so even after Ben and Jane were born. With both of them in tow we still managed to attend at least a few launches every year with the Vikings Rocket Society near Richmond. We also have occasionally attended the ECRM regional meet in Maryland, and every so often we even make it to a NARAM (national meet). Since the spring of 2002, Jess and I both have entered models in NAR Sport Scale competition either individually or as a team along with other rocketeers. In 2008 we finally completed the 1:59 scale Saturn I model, flying to 1st place in Team Division Scale at NARAM-50. Since 2009, I began working on improving my CAD skills by focusing on 3D modeling, primarily using rockets as modeling subjects. I completed Associate Degrees in both Computer-Aided Drafting and Design Technology and Mechanical Engineering Technology. Lately I have been employing my 3D skills into designing 3D-printed model parts. 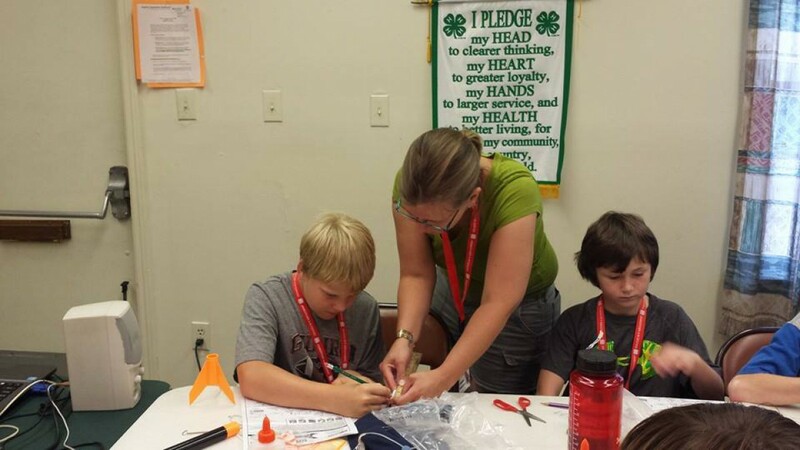 We have had the privilege of teaching kids ages 9-13 about rockets at a local 4-H day camp and leading them in a rocket-building session. The leaders enjoyed it so much they asked us back for a second and third time!